ARIETTA V60 is equipped with multiple functions dedicated to each diagnostic field, supporting more accurate and efficient diagnoses. From the extensive range of available transducers, you can be sure to find the one that is appropriate for your examination. Less patient-dependent B-mode image variability is experienced; imaging of high quality and sensitivity is available immediately the transducer is applied reducing the need for time-consuming adjustment. Blood flow information can be easily acquired. The sharply delineated Doppler waveform is easy to measure. Real-time Tissue Elastography (RTE) visualizes relative tissue stiffness, offering complementary information for diagnosis. It has proven clinical value across a wide breadth of applications including breast, thyroid, liver, and prostate. ARIETTA V60 is equipped with easy-to-use tools for comprehensive cardiac exams: Dynamic Slow-motion Display is a side-by-side presentation of a real-time image and its slow-motion counterpart. 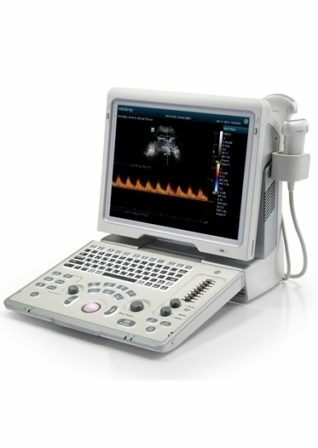 Dual Gate Doppler allows observation and measurement of Doppler waveforms from two separate locations during the same heart cycle. These advanced functions can shorten exam times and support effective investigations. 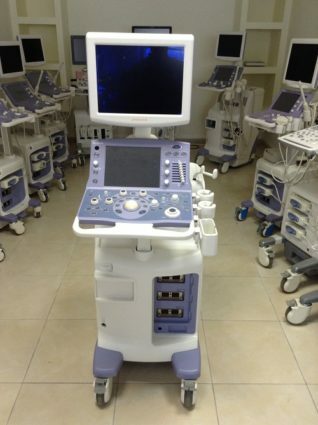 In obstetrics, the 4D display is a communication tool which can encourage the bond between mother and fetus, and strengthen family ties.